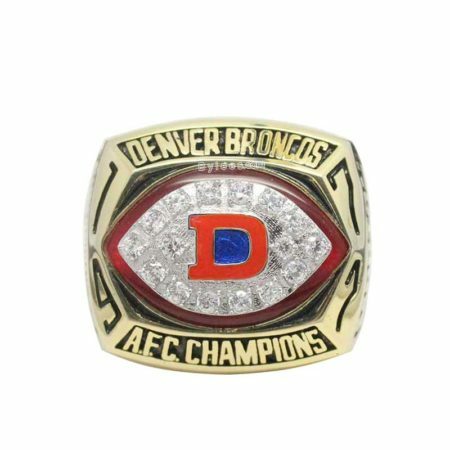 The 1987 Denver Broncos AFC Championship ring is a great old time championship ring in 1980s. 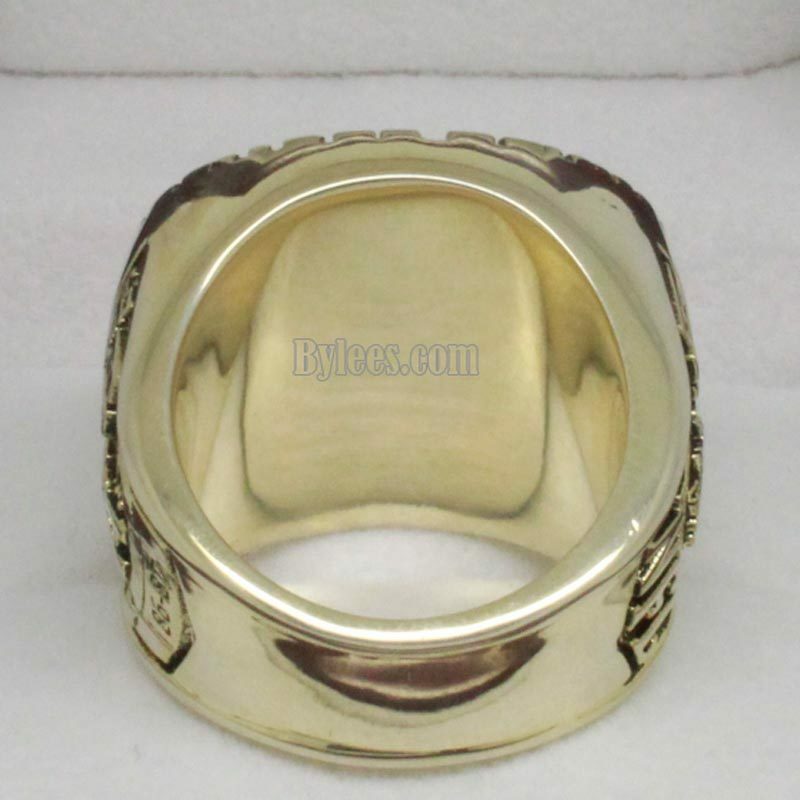 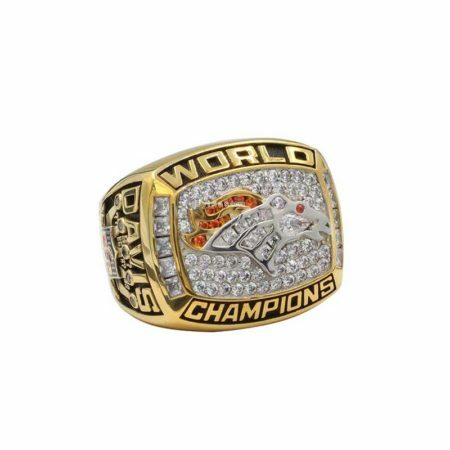 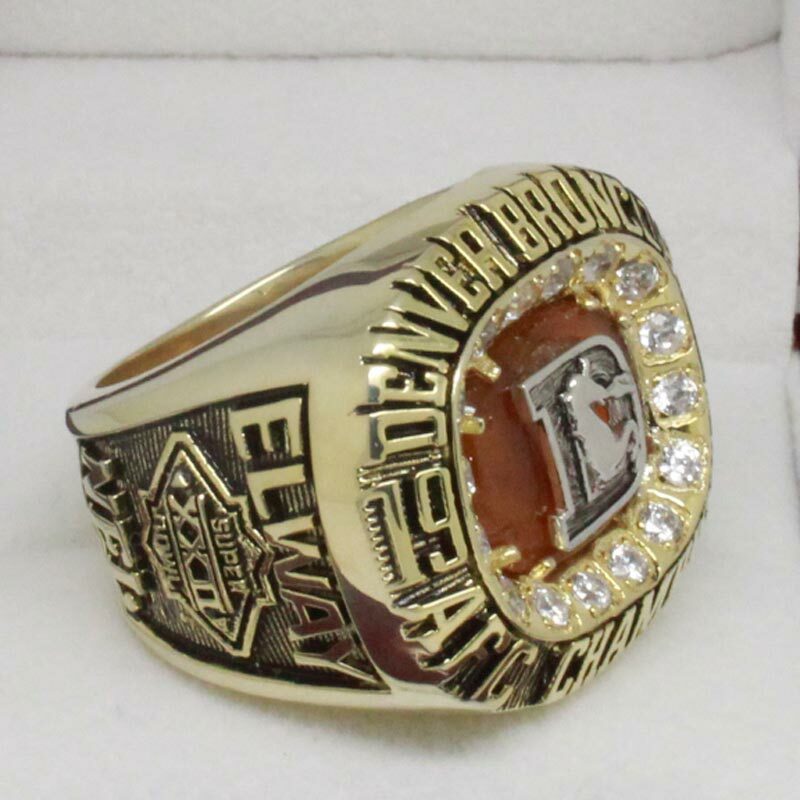 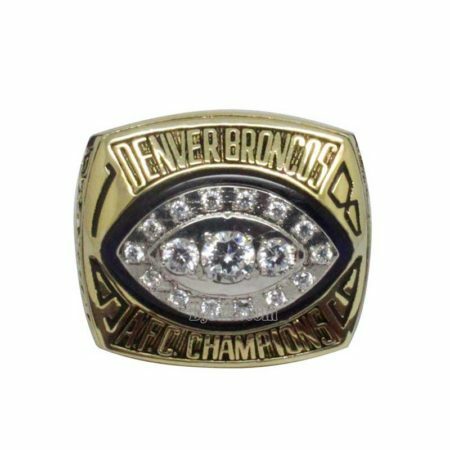 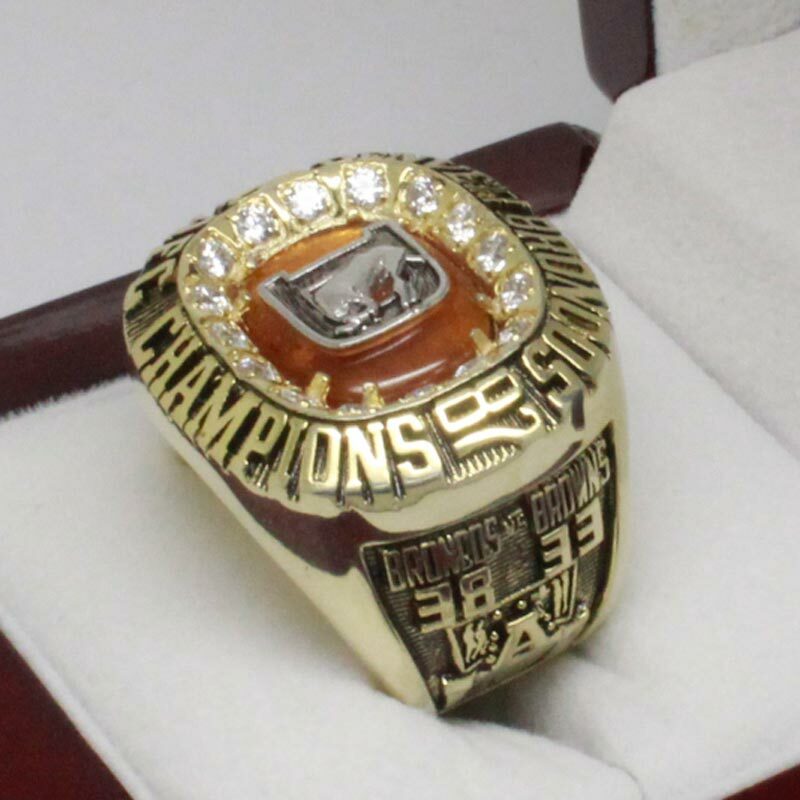 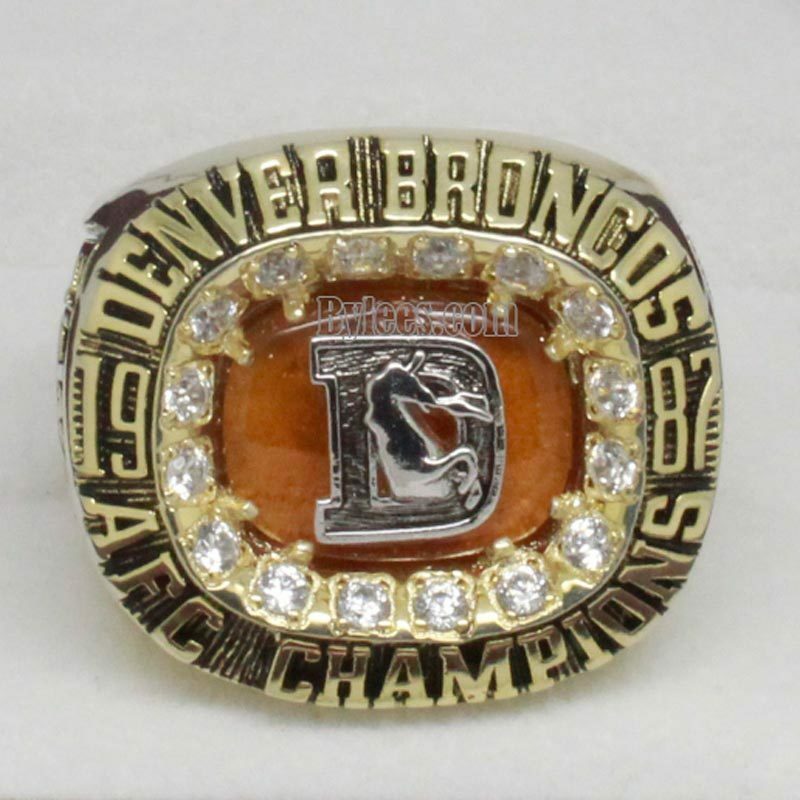 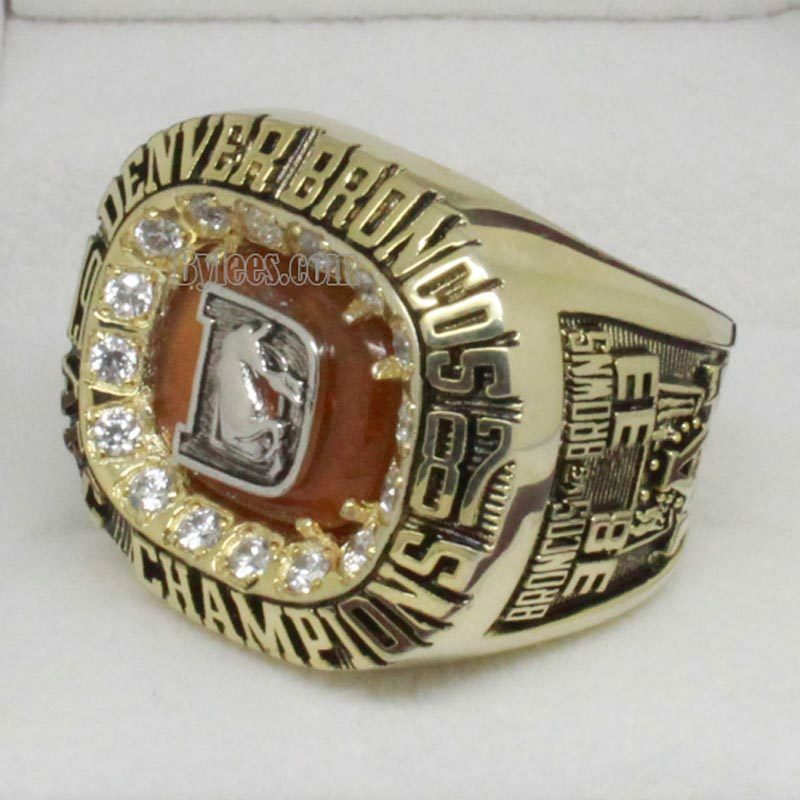 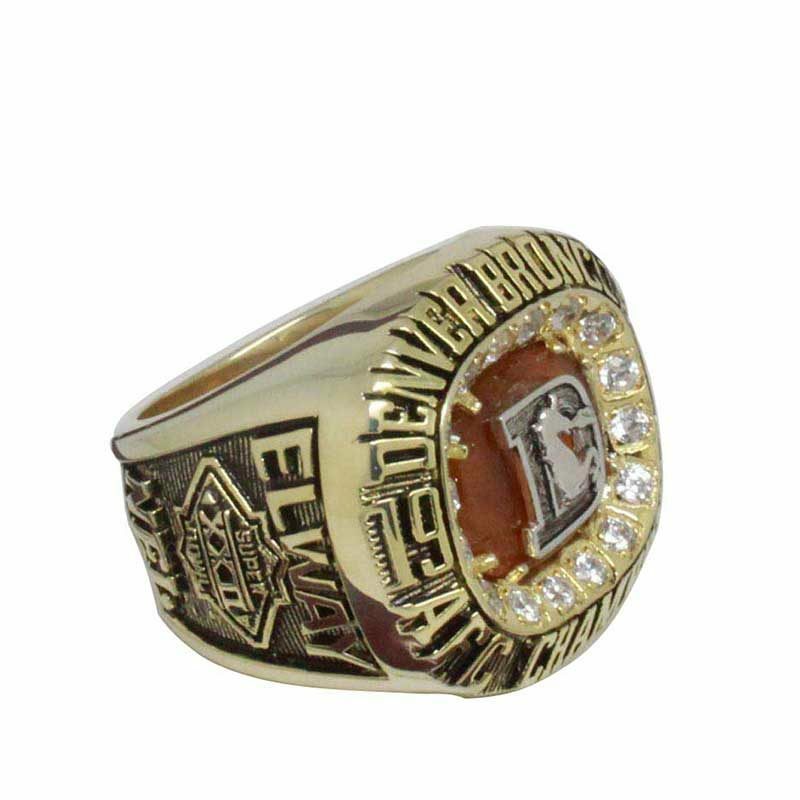 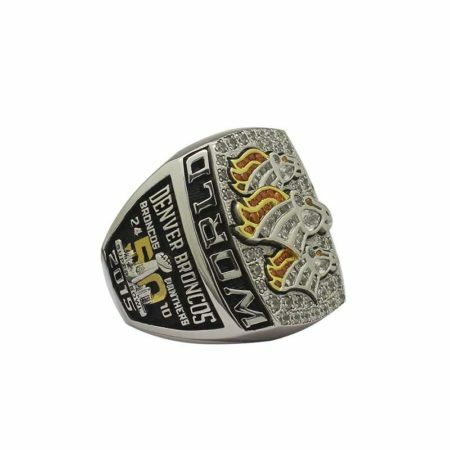 Unlike the 1986 version, The 1987 AFC Championship ring was concaved at the center of the top with a Orange stone , and inside the stone, there is a convex Broncos icon inside a convex D(Denver) embedding. 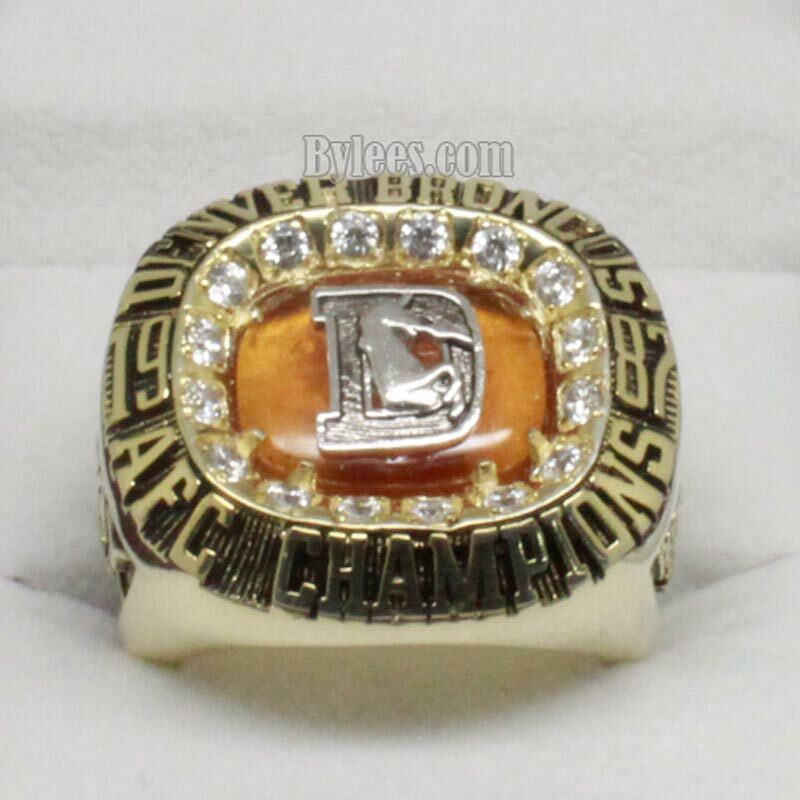 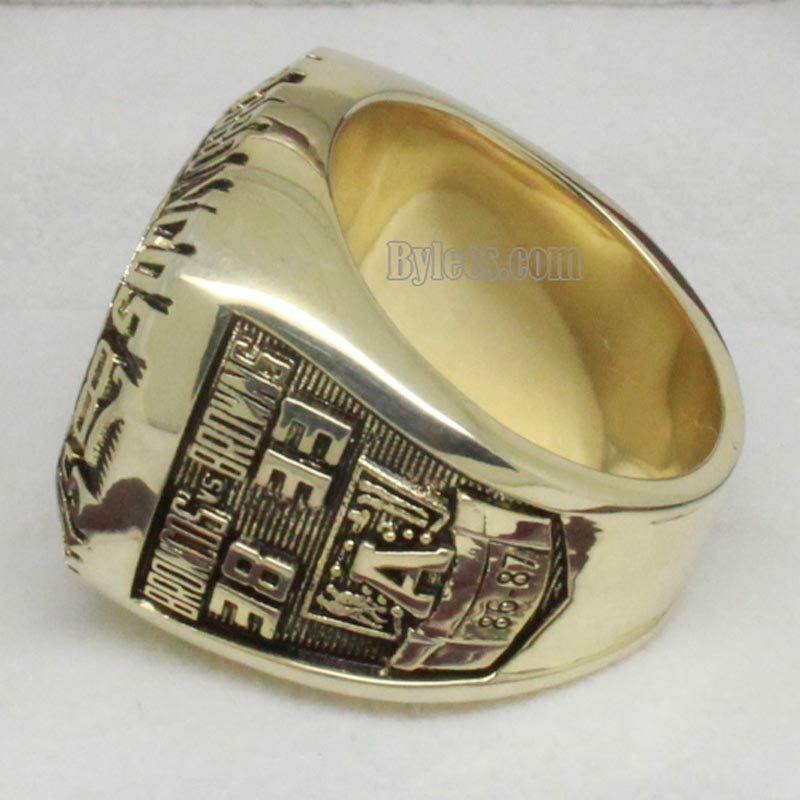 The design is so stereoscopic and even it is Denver conference championship ring, you won’t miss it. 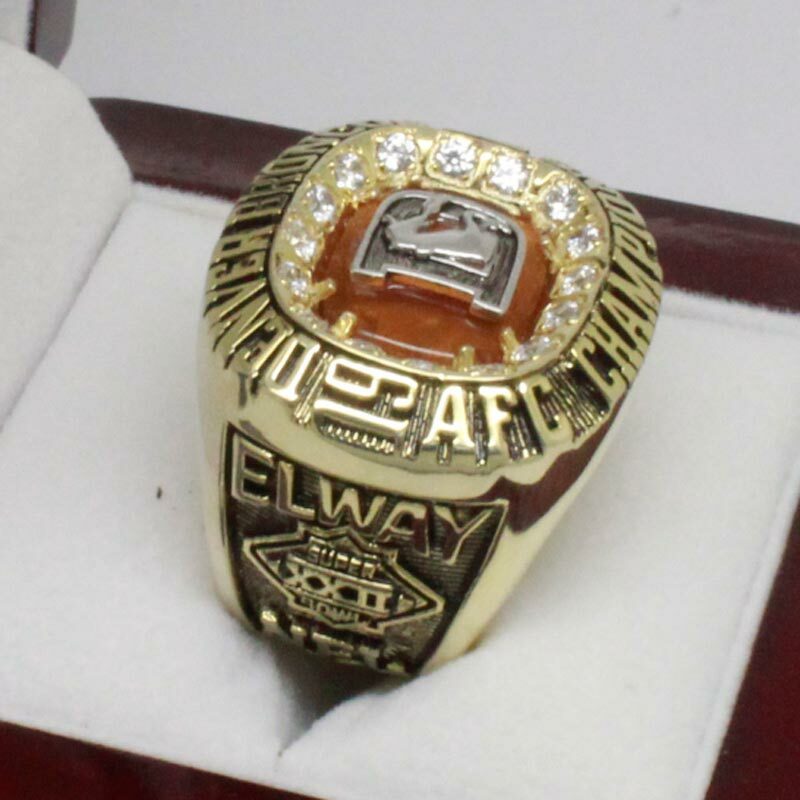 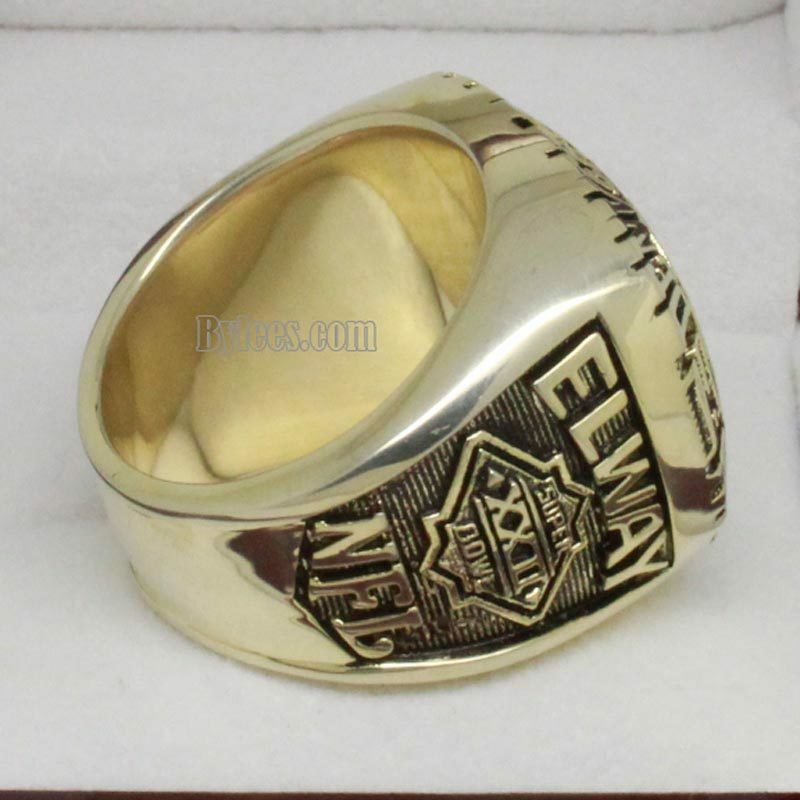 This is also the League MVP John Elway second consecutive AFC Championship ring.